Paramotor suitable for pilot weight from 80 kg to 130 kg Corsair Black Devil engine of 25 HP 172.5 cc. Available in three versions: manual starter, electric starter, and manual starter with gear drive centrifugal clutch . Fully dismountable cage (6 pieces) for easy and compact transportation. 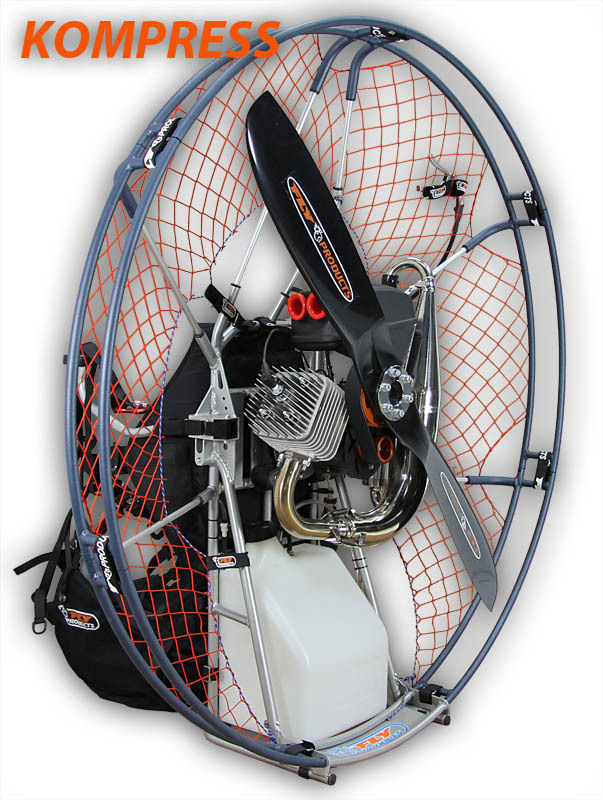 Click the button below to add the Fly Products Kompress Paramotor to your wish list.